Decorating Performance apparel can pose a few challenges. The low scorching point, stretchability of the fabrics, and complex fabric composition has challenged decorators and their suppliers to come up with new techniques and products. 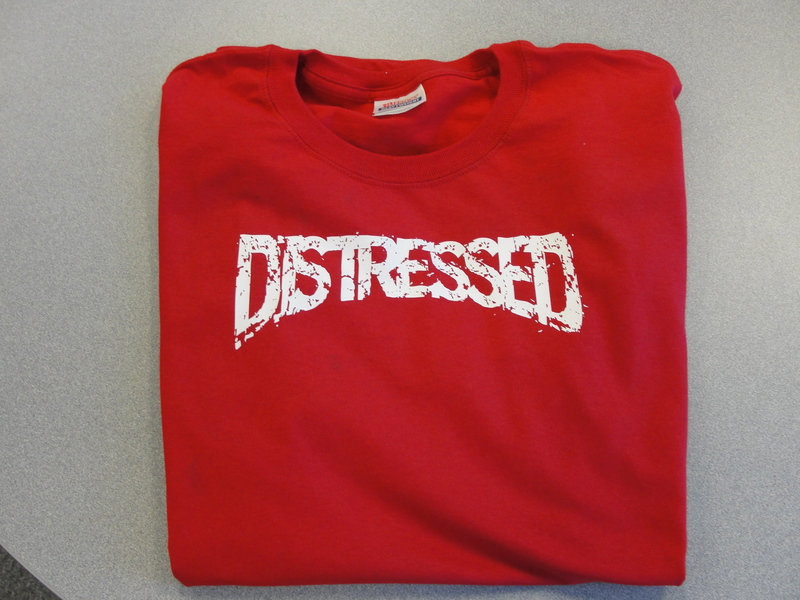 Heat pressing Performance apparel using the incorrect products and methods can lead to scorch marks and poor quality transfers. However, two products recently introduced can be applied at a low temp and a short dwell time, making them the ideal materials to use. Spectra Perform Cut is a “Cut-only” Heat Transfer Vinyl that applies at only 280 degrees. For full color, Spectra Perform is a Solvent or Eco-Solvent printable line of products that can also be applied at 280 degrees. Both products have a unique adhesive that will adhere to Polyester, Nylon, Lycra and many synthetic blends. Both also offer tremendous Stretch and Rebound, which will keep the decoration looking great, even after they’ve been stretched out. If you’ve tried decorating Performance apparel before, but didn’t like the “heat press box” that accompanied your transfer, give one of these new products a try! There are a lot of accessories available for your heat press. Understanding the available accessories, how and when they’re used can have a big impact on your business! Cover sheets are used with almost every heat transfer. Their purpose is to protect the transfer, material being applied to, and the platen of your press. Commonly used cover sheets are Reusable Cover Sheets (“Teflon” Sheets), Kraft Paper, and Silicone Cover Sheets. You can achieve a different effect on some transfers using the different cover sheets. Reusable cover sheets can add a bit of Gloss, while Kraft Paper and Silicone sheets usually provide a Matte effect. Reusable cover sheets are the most durable. If you take care of them, they should last dozens, if not hundreds of presses. Kraft Paper will usually last 25 – 50 presses and Silicone cover sheets will normally last only a few presses. “Quick Slip” Pad Protectors are made of the same material as Reusable cover sheets. Their purpose is to protect your lower platen from damage due to an accidental press, reduce wear of the pad on the lower platen, and make it easier to slide your garments on and off the press. A Quick Slip is a “must” for any heat press owner! Heat Printing Pillows are used to absorb thick seams and neck lines, pockets, and other obstructions. Pillows are made of very similar materials to the Reusable Cover Sheets, stuffed, and sewn. If you have a “hard” obstruction that cannot just be absorbed by the Heat Printing Pillows, or if you need to raise the application area, you’ll want to use a Print Perfect Pad. Zippers and Buttons are common examples of obstructions that make a nice flat surface area difficult to achieve. The Print Perfect Pad targets your application area and allows the obstruction to fall to the side and out of your way. Hotronix Heat Presses are outfitted with a “quick change” platen, giving you the ability to quickly and easily change out the lower platen that is on your press. Available Platen sizes are 6″ x 10″, 8″ x 10″, 7″ round, 11″ x 15″, as well as some “specialty” platens, like the Hat Bill Platen, Can Cooler Platen, and Shoe Platen. Custom made Platens are also available. The 6″ x 10″ and 8″ x 10″ platens are ideal for smaller application areas, like a left chest application, new born and toddler apparel, or labels. The 7″ round platen is ideal for the ends of Tote bags and other “hard to get to” areas. 11″ x 15″ is my preferred platen for decorating women’s apparel and any simple “front” applications. Changing out the platen will make the application process much more production friendly, as well as help to eliminate any ruined garments because of uneven pressure! All of these (and more!) accessories are available from Imprintables Warehouse. Click or call today! I’m fortunate to work in an industry with very little barrier to entry. I’m also fortunate to work for a company that has taken the time and devoted the resources to making it as easy as possible to make those barriers even more insignificant. Many entrepreneurs are drawn to our industry because the start-up costs can be under 1k. Software – CadWorx Live online design software. The steps are simple. 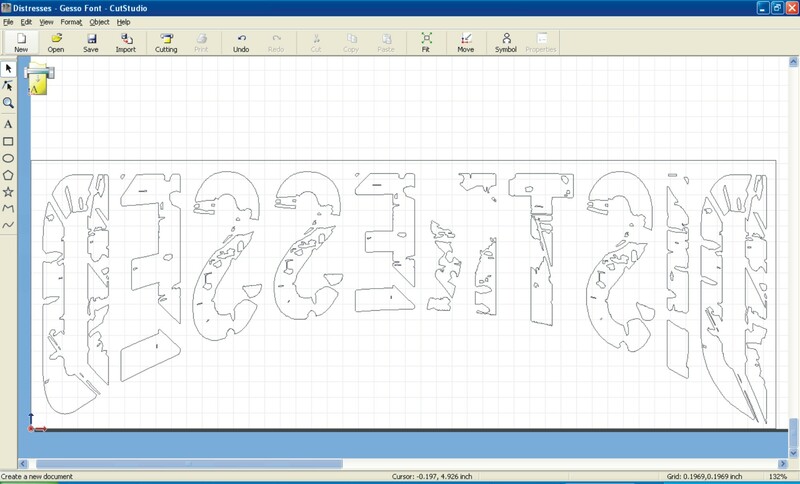 After you purchase your vinyl cutter and heat press, you can register a FREE account on CadWorx Live. 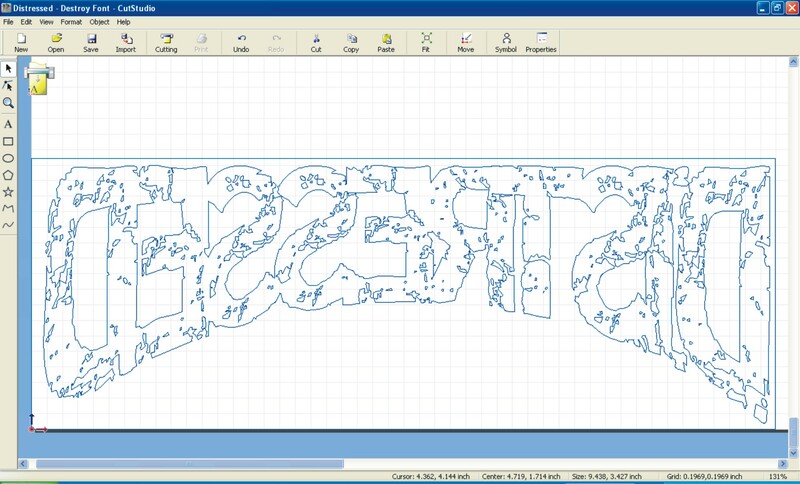 Login to CadWorx and find a design. You have thousands of pieces of Clip art to choose from and hundreds of different templates! Customize the design with your own text and send the design to your Clipper vinyl cutter. 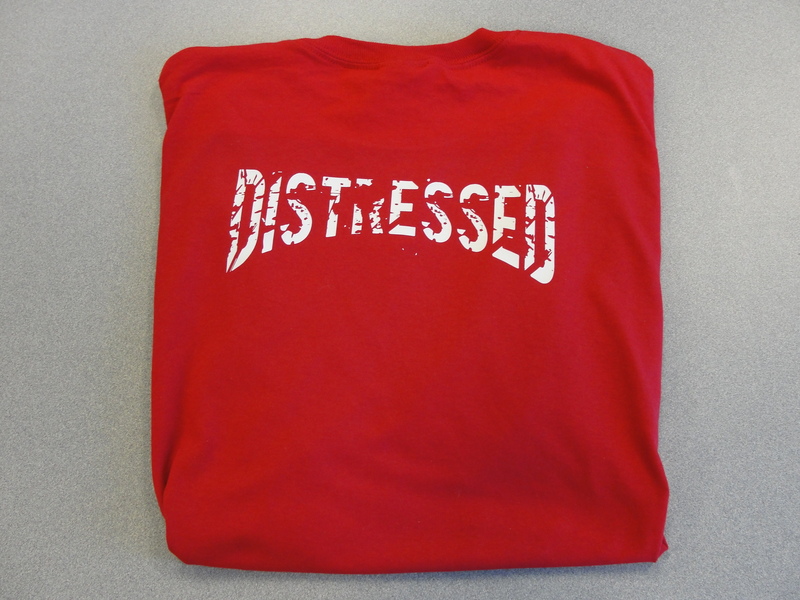 The Clipper will cut out your design in the Heat Transfer Material of your choice. Once it’s done cutting and you’ve weeded away the excess material, take the design to your Heat Press and heat apply to your T-shirt! What makes my industry great is that it is as much fun to make custom shirts for yourself, friends, and family as it is to sell them to your customers! For under 1k, you can either have a fun hobby (and probably less expensive than my wife’s hobby of shoe collecting) or a legit, profitable business! Heat Transfer, Sign Materials…or Both?? If you have a vinyl cutter, odds are you’re using at least one of Heat Transfer or Sign Materials in your business. If you’re not using both, you’re missing potential profit opportunities! It took us at Imprintables Warehouse a while to realize that. For years, we sold only the Heat Transfer materials, and did quite well at it. Our Spectra Eco-Film is one of the most popular Heat Applied Materials on the market. Imprintables Warehouse added Duracal 530 to our line up around 2011. We knew that our customers already had the equipment needed to use the material, we just had to make it available to them! If you have a vinyl cutter and a heat press and have been working with Heat Transfer materials, you really need to try this material. I’ve told many customers over the years to include a decal or two with their heat transfer jobs. The perfect time for this is with a corporate logo or a team sport. After you cut and apply your logos to your polos or jerseys, put in a roll of sign vinyl and cut the logo again. When your customer comes in to pick up their order, hand them them decal you’ve created for them as a complimentary gift. Odds are, you’ll see an order in the near future!! Your cost is only the few minutes it took you to load the material in and prepare the sample. Material cost is pennies. Add on sales are a big business. Introducing a new product to your existing customers will bring in some extra cash to you and your business! Which is your favorite? The Swing Away or a Draw heat press? Both have their advantages to you, the consumer. Would you like the draw action so you can view your work area from any angle? Or do you prefer the swing away option to completely move the heat? Odds are, you’ve had jobs where both features would come in handy. Now what about a fully threadable lower platen? How many different settings do you have for your various heat transfers? Wouldn’t it be simple to cycle through them? If you’re in the business, what is your “dream machine”? Hotronix has created a press that should be the closest thing. Introducing the Hotronix Fusion! The Fusion should offer you everything on your wish list. Fully threadable platen, check. Easily to change lower platen, check. Auto on/off, check. Touch screen, digital display, check! Do yourself a favor. Check out the video and see what this press has to offer your business!! The heat press has come a long way from the days cold spots, uneven pressure and inaccurate temperature readings. There has been one company primarily responsible for making the heat press the fine tuned machine that it is today – Stahls Hotronix. Around 20 years ago, Heat Presses weren’t nearly as accurate as they are now. Heating elements were located on the top side of the platen and spaced as much as six inches apart. The temperature was measured using a Bi-Metallic thermometer, also on the top of the platen. Bi-Metallic thermometers coupled with the location of the elements caused a 10 degree variance in the set temperature of the press. A transfer that was to be applied at 350 degrees could have actually been applied at as low as 340 degrees or as high as 360. A variance like that can and probably will greatly affect the quality of the transfer. Hotronix developed the first cast in heating element and RTD temperature sensor. The cast in heating element took the element from the top of the press and placed it inside the upper platen. Heating elements were also made much closer together, moved to less than 2″ apart. The RTD (Resistance Temperature Device) measured the temperature not on the top side, but at the pressing surface of the heat platen. Hotronix was also the first to add a Digital Temperature readout. The old meat thermometer readout was very difficult to set an accurate temperature and even more difficult to read. With heat transfers calling for a very specific temperature to be applied at, being off a few degrees coupled with the 10 degree variance caused many more heat transfers to fail and many more $ out of your profits. Off all the innovations i have and will speak of, incorporating the digital readout was probably the most important innovation made in the heat transfer business. Accurate temperature is just one of the important pieces to the Heat Transfer puzzle. Another, equally important piece is Time. The timer, if there was one, on the press of yesteryear was essentially a “wind up” kitchen timer. When it buzzed, time was up. As with temperature, the time the transfer is being pressed has to be accurate. Inaccuracies can lead to a transfer that’s not very easy to peel and can affect the adhesive quality. As with Digital Temperature, the Digital Time readout allowed a better end product. Digital Time and Temperature was first added by Hotronix a while back. More recently, a Digital Pressure readout has also been added. Digital pressure eliminates the guess-work that had always been associated with manual heat presses. Pressure is measured on a 1 – 9 scale with one being the lowest and 9 being the highest or firmest pressure. Now, a heat transfer will be pressed at the same pressure no matter who is manning the heat press. The upgrades I’ve discussed so far have been upgrades that have made the press a more accurate machine. The Auto-opening developed within the last few years is an innovation that made the machine much easier to use. The digital timer along with an electromagnetic release and shock opening cut user fatigue in half. Now, a press operator only has to close the machine, it opens automatically, on time, by itself. Stress relieved heating element eliminates warping caused by excessive heat. A warped element can lead to uneven pressure. Upper flotational platen on clamshell machines virtually eliminates the pinching effect found on any other clamshell design. The flotational platen also allows for even, consistent pressure. Over the center pressure adjustment easily and evenly distributes pressure throughout the entire surface area. Laser cut steel makes a stronger, more durable press. If you’re looking for a company that stands behind their equipment, Hotronix is unrivaled. Their support is top-notch, and warranties are easy to understand and hardly ever needed. At Imprintables Warehouse, I have set up many a customer with a Heat Press manufactured by Stahls Hotronix to start out or expand their existing business. I’m confident their business was easier to run and more profitable because of their decision to go with the “Cadillac” of Heat Presses. Hello all. I exhibited at the NBM Printwear Show in Charlotte a couple weeks back and shot a video with the folks at NBM in our booth. The video was limited to three minutes but you can get an idea of the products I represent at Imprintables Warehouse and also get a chance to view a bit of our Trade Show Booth if you haven’t made it out to see us at a Trade Show before. Here’s the link to the video: Imprintables Warehouse Booth – Charlotte. Also, if you’re interested in coming out to a show, the Trade Shows page on the site has been updated with the shows Imprintables Warehouse will be exhibiting at next year and the shows which I will be attending. As free registrations are posted, I’ll add them to the site as well. Keep checking back! So how do you solve Dye-Migration? Simply by using the right product. Standard heat transfers may not block migration. If you run in to an angry polyester that doesn’t like being transferred on to, you can use the Solutions Sub-Block for a full color printable fabric or Spectra Sub-Stop for single color vinyl cut transfer. Both products are available from Imprintables Warehouse and from me by requesting a sample. Please see the pictures below for what migration looks like and how much a difference using the correct media makes. The fabric this material is applied to is one of the popular performance wear garments. The side by side comparison really shows the migration from one transfer to the next. It is most apparent in the white but the entire design is noticeably faded. Dye-migration can be a problem but certainly not one that can’t be avoided or fixed. Just like choosing the correct transfer for a cotton or nylon, choosing the correct transfer for garments prone to migrate is essential to success as a garment decorator. Q: What is the worst thing you can tell your customer? How many times have you had to tell your customers “No”? Far too often I’m sure. If it’s not “no”, then it may be “I’ll have it for you in two weeks” because you have to outsource the job. There isn’t a machine out there that will give every customer everything they want, but there is one that will give you a heck of a start. That machine is the Roland VersaCAMM. So what makes the VersaCAMM such a versatile machine? Consider the following. Imprintables Warehouse offers 15 different types of Digital Media…and that’s just for garment decoration! While most would expect a media for cotton, poly and cotton/poly blends to be available, they may be unaware that they can decorate performance wear, spandex, nylon, leather, both light and darks, just by switching out the media loaded in the machine. Possible applications range from the common t-shirt to fire retardant leather race apparel to polypropelene bags that have become popular in the Promotional Product industry. Not to mention socks, shoes, shorts & sandles…and much more! And yes, i did spend a minute or two trying to think of another product you can decorate than begins with an “s” but decided to go on with the post. No sense getting sidetracked. How about a printable Flock? Anyone have a need for full color Reflective printing for safety apparel? Have you had requests for a Puff print on a t-shirt? Metallic is another effect that can serve an entire new market. If your customers haven’t asked you for this yet, it may only be because they haven’t seen it! Speaking of new markets…Imprintables Warehouse has introduced a new line of printable material. Our NAM line, or Non-Apparel Media is a bit of a departure from what has always been availabe from IW. These materials were brought on to work in conjuction with the digital media for garment decoration that was mentioned above. The difference is that these are not heat applied medias, but pressure sensitive. Same printer, same inks, more versatility. Imprintables Warehouse now stocks 12 more medias (that’s a total of 27 if you’re playing along) for application on to football, baseball & hockey helmets, stickers, laptop skins, removable wall graphics and posters just to name a few. Consider the ability to print on banners, vehicle graphics, custom labels for bottles and window displays. The list goes on and on! Think about this. Your customer brings you one piece of artwork. All they may expect is a new t-shirt, hoodie or maybe a cap. If you can offer them what they came to you for, that’s great. Having the ability to offer them so much more will bring in more $$$$ and make for a happier customer and a happier you! If you are intersted in adding the Roland VersaCAMM or if you’ve already made the investment and you’re interested in any of the medias offered by Imprintables Warehouse, please email me at adam@imprintables.com. You can also call me in the office at 1-800-347-0068 x 234 or on my cell at 724-322-1085. If you’re interested in reading more about the VersaCAMM, please read a previous post – Comparing the Versacamm – Direct to Garment.